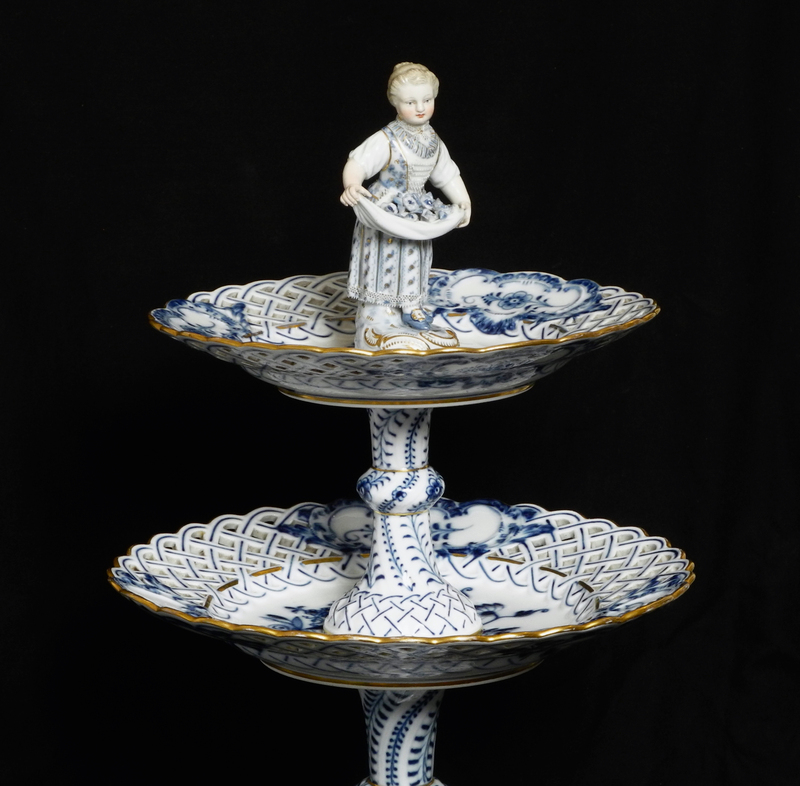 A Meissen porcelain ‘Zwiebelmuster’ table centrepiece. 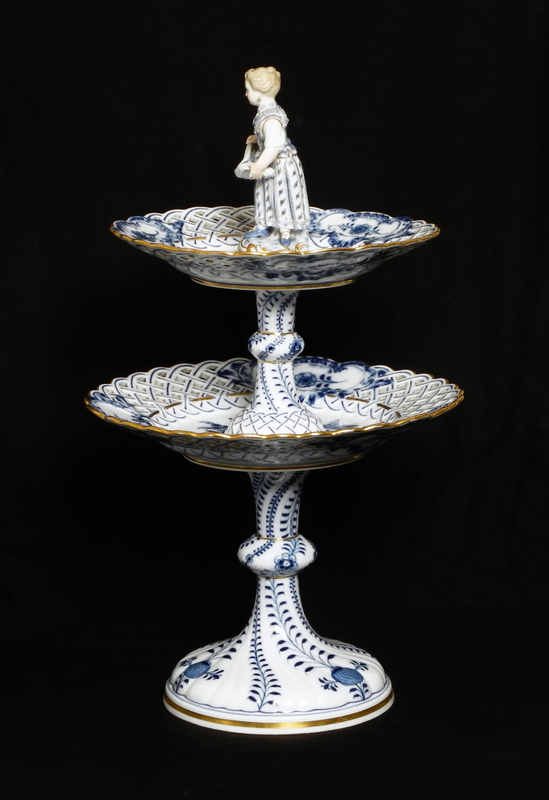 A wonderful Meissen porcelain Zwiebelmuster or ‘Onion’ pattern centrepiece. 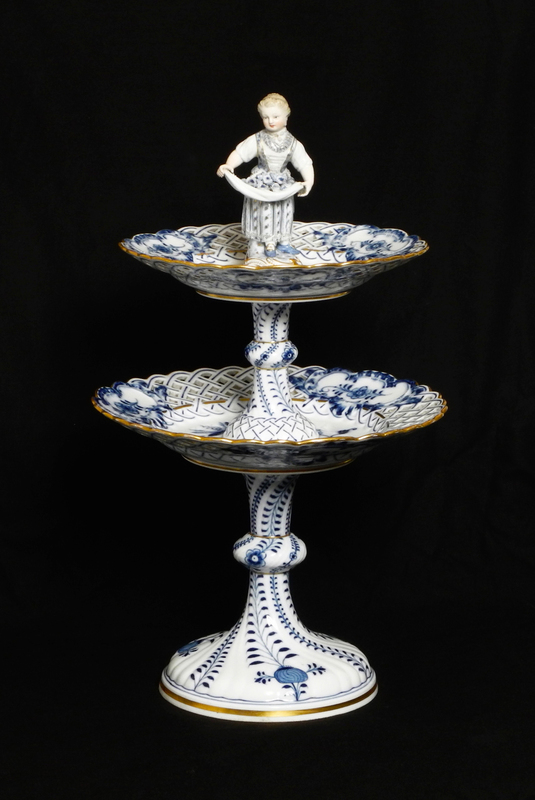 Two pierced tiers, unusually surmounded by a figure of a lady flower vendor. Crossed swords and numeral ’32’ to the underside, first quality. 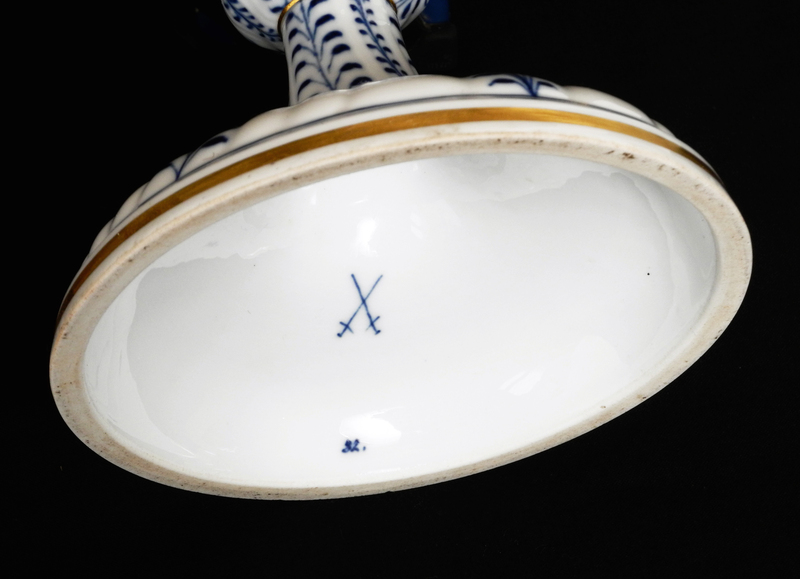 The Zwiebelmuster pattern has been made by Meissen since the 18th century and is one of their most successful and extensively produced patterns. The patterns origins are in early Chinese porcelain, during the 18th century a thirst for all things ‘Chinoiserie’ in the west encouraged European makers to emulate the patterns they were seeing. So why is it called the ‘Onion’ pattern? Well, the fruiting plants seen painted on the Chinese wares, perhaps pomegranates and peaches, were very unfamiliar to the porcelain decorators of Europe so they created a stylised version and the main pomegranate motif was thought to look more like an onion rather than a pomegranate, and thus the ‘Onion’ pattern was born!